I’ve posted a LOT of work in progress photos of this set, but I don’t reuse patterns. Not to say I couldn’t have done a similar pattern in the past. I haven’t heard of Creativebug — I’ll check that out. I started drawing every day, too! My drawing skills need some refining. I would love to see that print dress in a batik/tie-dye type of coloring. Very cool dress. And all of the little accessories are adorable. Especially the teacup. Yeah, it’s ben a fun challenge. Mostly, it’s a chance to draw things that I wouldn’t practice unless I had a “reason” to practice. I am hoping I can keep it up after January is through. 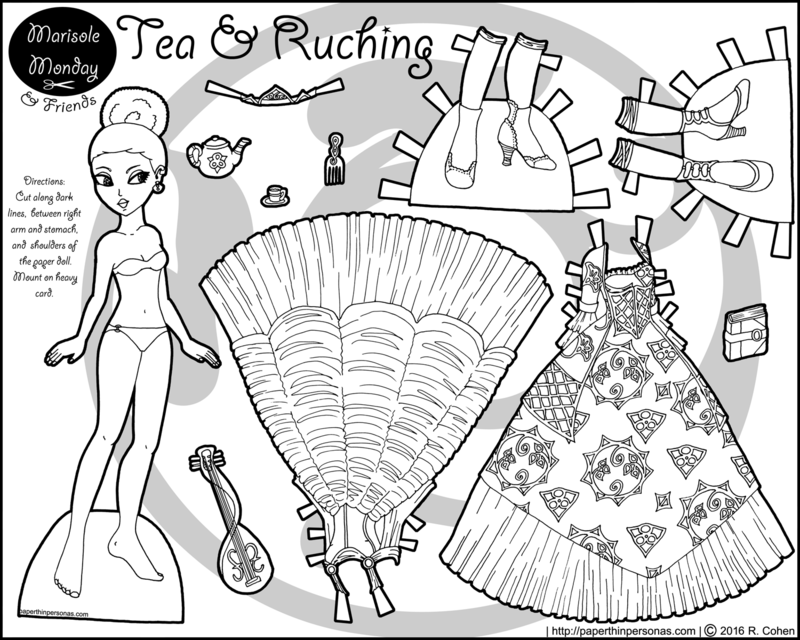 Beautiful dresses, and the tea set is adorable! Is ruching the pleats on the left dress? Do you mean in the overskirt? Yeah, that’s one form of ruching or ruche. It’s basically when you gather either sides of a piece of fabric to make a softly pleated section. love that ruching! and those shoes (as always). very curious to see your color choices, given my limited knowledge of wax prints.